Effective training programs help organizations retain and develop talent, close skill gaps, adapt to change, and achieve mission objectives. Delivering learning opportunities is a resource-intense operation, yet now is a time of both significant workforce development needs as well as pressure to manage competing investments over available funds. 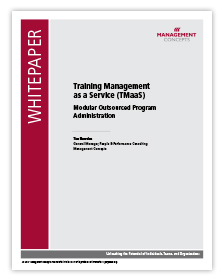 Use the download form to see more advantages, and learn how a TMaaS program can work for your organization.